Wine-and-chocolate pairing is so cliché in romance movies. But did you know that you shouldn’t just pick a bottle and a chocolate bar randomly? 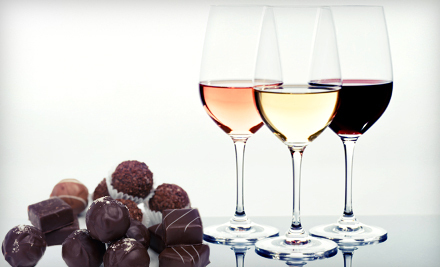 There are rules when pairing wine and chocolate. Here’s how to do it like a professional chef. One tried and tested method is to match the sweetness of chocolate with a much sweeter wine. Why? The wine is sweet too but its acidity will balance the taste of chocolate. The wine will also wash off the lingering taste of the chocolate. It’s like cleaning your tongue for the next bite. Dry wines aren’t ideal pairs so pick a sweet sparkler instead. No, we’re not referring to the heaviness of the bottle of the plate of chocolate cake. The weight refers to the number of ingredients present in your food. If you’re having a cake covered with chocolate, berries, nuts, almonds and icing, pick a wine that’s less sweet. Chocolates with fewer ingredients can be paired with sparkling red wine with a hint of fruits and blossoms. Too much tannin can ruin the taste. Remember that the more cocoa the chocolate has, the more tannins it contains. Avoid pairing dark chocolates and red wines with heavy tannins. Read the labels on the box or bottle to check the ingredients. 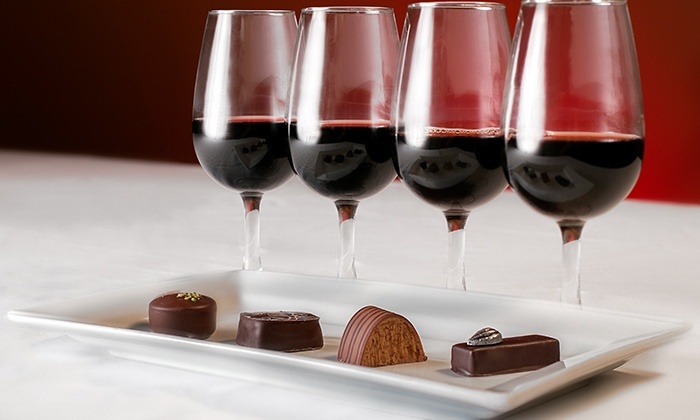 Most red wines go well with chocolates. Just don’t forget that there are as many types of chocolates as red wines. Chocolates are fruity (it comes from cacao) so it will go well with fruity reds. The pairing will balance the acidity of the flavors. 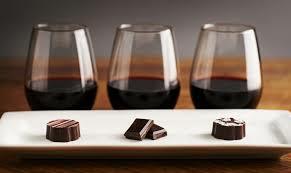 The taste of dark chocolate cannot be complemented with a sweet or fruity wine. The higher the percentage of the cocoa, the less sweet it tastes. You could try a fortified wine to match the intensity of the dark chocolate. Sometimes you can ignore rule #2. Some chocolate desserts need to be matched instead of complemented. So go for that heavy red with your heavy chocolate cake. Cacao is grown in select humid areas in the world. Vines don’t need a lot of heat. Some wine connoisseurs are particular with terroir when matching food, so chocolate and wine don’t exactly match. Flavored chocolates are trickier because you have to match the flavors and ingredients with the right wine. Caramel is good with aged wines, mint is perfect with single-varietals, while peanuts go well with nutty and sweet wines.